1. 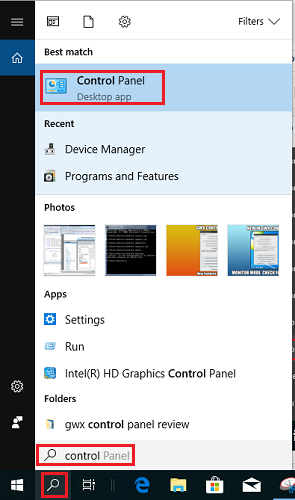 Click Start, scroll down to W and expand Windows System menu, you will find control panel there. 2. Click search bar., type control panel and you will see control panel in the top of search result. Both ways above will bring you to the classic control panel. 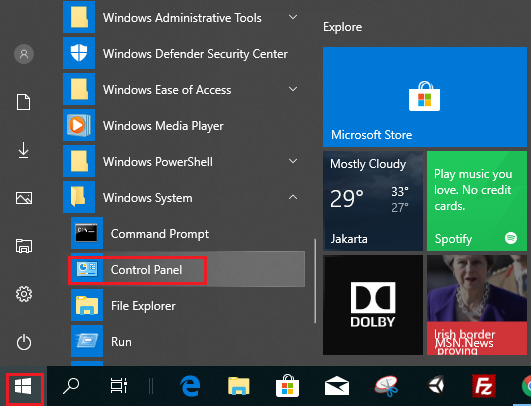 Actually, Windows 10 has its own control panel called Windows Setting and to run it you just need to click the start button, and click the gear icon, it will bring Windows settings. 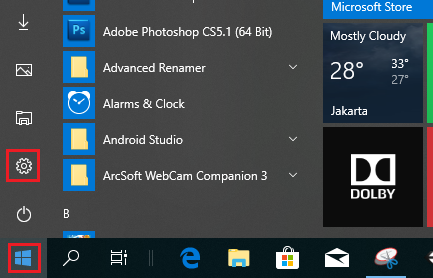 Windows Setting is replacing classic control panel in Windows 10 but at the moment you can use any of them.